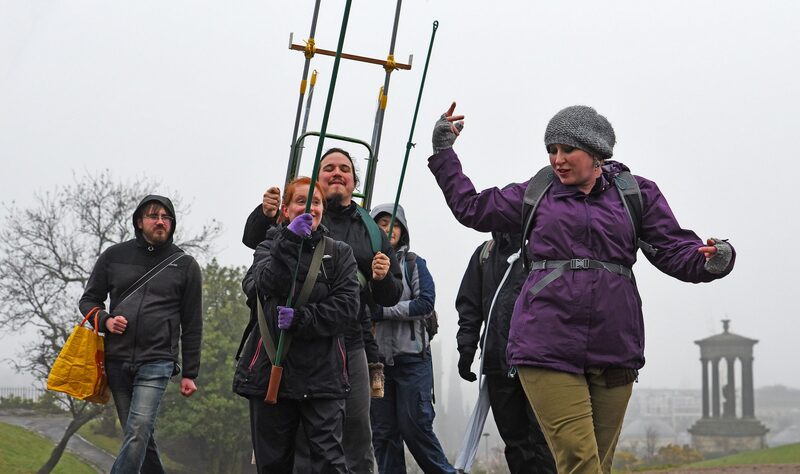 One of the questions that we get asked every year is “Why does it cost money to go to Beltane?” It’s true, it used to be free to attend, but putting on a fire festival on the scale that we do takes a lot of careful planning and no matter how thrifty our volunteers are it doesn’t come cheap. In the name of transparency, we wanted to take a moment to talk about the less fun (but equally essential) costs of Beltane Fire Festival. Beltane Fire Society is a registered charity and the Beltane Fire Festival is pretty much our only source of income. 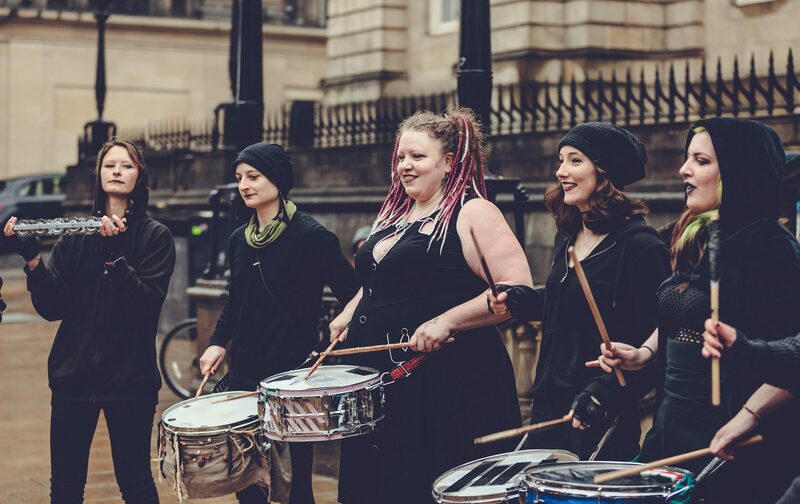 We do a couple of busks every year (one before Beltane and one before Samhuinn), we get the odd donation through the website, and in 2015 the lovely folk at Scotmid gave us some money toward craft materials for Family Beltane. We don’t receive money from the council (in fact, we pay some departments quite a bit of cash for various elements), or any external funders. That means that when you buy a ticket to Beltane, you are giving us an enormous helping hand in putting on our festival. Public Entertainment Licence, Section 89 permit (permission to erect a raised structure), SIA-licensed security, the use of Calton Hill and associated staff costs, van hire, stage hire, PA hire, toilets (oh so many toilets! ), a portable cabin as a box office, additional crew to assist with the de-rig, 2-way radios, hydraulic lifts, body paint (as much as a small shop buys in a year, apparently), fencing, lighting, generators, web hosting, email hosting, office rent, paraffin, storage space, fire rope, diesel for the van, ticketing staff, poster and flyer printing and distribution, clean up of the Hill, and in other years we have or may have to pay for Police and road closures. We also pay for three essential part-time contractors to look after it all. We have an Event Co-ordinator, who spends his time doing lots of paperwork and keeping us all organised, a Communications Co-ordinator (waves), who makes sure that you all hear about our festivals in time to buy your tickets, and a Site Safety Officer, our designated sensible person who keeps our events risk-free. The rest of the society, including our performers, are volunteers. 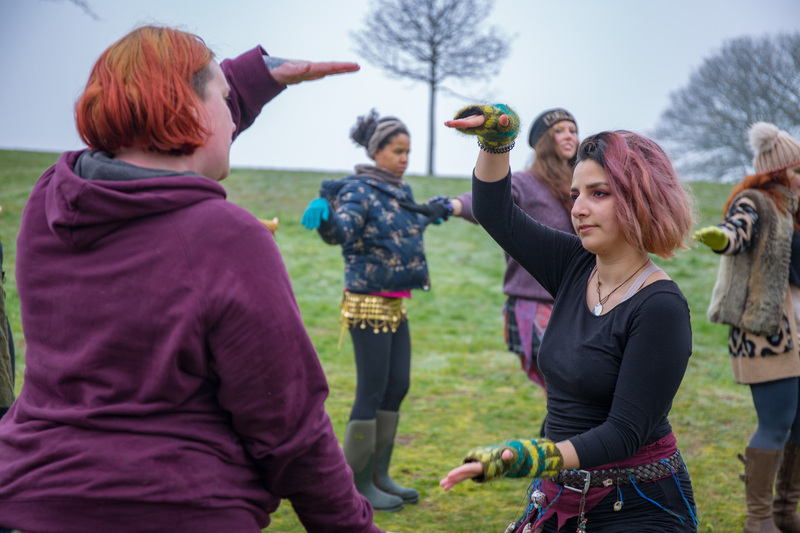 This is one of the magical things about Beltane – it is a labour of love, and open to anyone looking to learn new skills and have a good time along the way. So when you look around the Hill and see the fire sculptures burning as the Whites descend the steps, when you see a red-painted drummer beating out a rhythm that’s so infectious that you just have to dance, when you pass a portaloo … just remember, that the event is so much more than the sum of its parts, and you’ve helped make it happen. Thank you for your support. 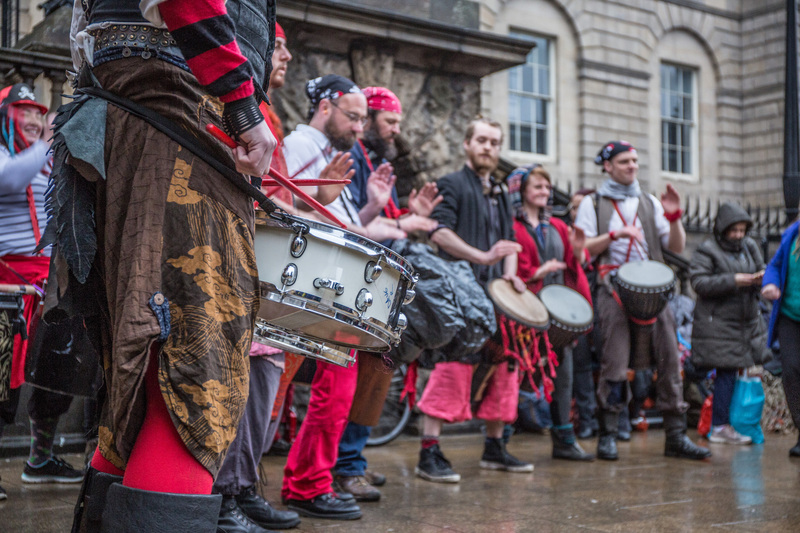 Copyright Andion Galvi for Beltane Fire Society. All Rights Reserved. I am pleased to be able to give my help this year in making the Green Man costume. I am up to my eyes in —— ( ssshh…it’s a secret )… at the moment. I am hoping to attend this 2018 Beltane Fire Festival, yes it was free in the past but after reading what the ticket purchase goes to it is worth every penny. Wir kommen extra aus Berlin zum Beltane Fire Festival. Mein Mann ist Rollstuhlfahrer , wir fliegen schon am Wochenende vorher . Unser Problem ist an die Karten zu kommen. Reservieren geht nicht ,ich hoffe es gibt am 30.4. auch noch Karten zu kaufen. Der Preis ist sowieso in Ordnung.